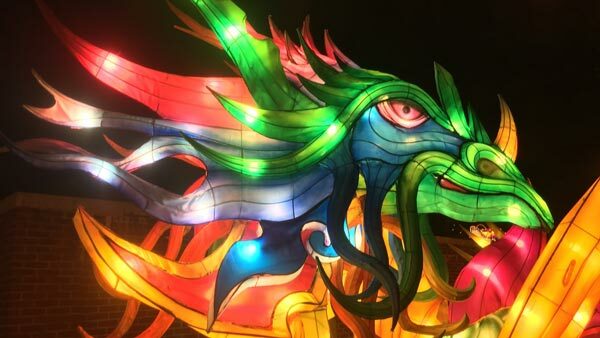 PHILADELPHIA (WPVI) -- The Chinese Lantern Festival at Franklin Square opens to the public Tuesday. Chinese Lantern Festival begins in Franklin Square. Jim Gardner reports during Action News at 11 p.m. on May 8, 2017. Action News received a sneak peek Monday night. Artists from China have been in Philadelphia for the past month, working on the elaborate displays. The centerpiece of the festival is this giant Chinese dragon installation that is 200 feet long, 21 feet tall and weighs 18,000 pounds. The festival runs through June 11th.